Introducing the NEW Max Factor Voluptuous False Lash Effect Mascara; a breakthrough innovation with a next-generation Lash Uplift Brush that instantly lifts lashes for a fuller, more voluptuous and glamorous lash look. The revolutionary Lash Uplift Brush design lifts lashes for 5x more volume, thanks to its unique helix-shaped dimensions. 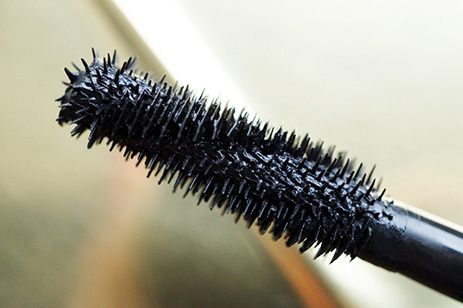 Composed of alternating fins and bristles, the brush catches and grips each individual lash, lifting from the base, then coats and combs every single lash. The clever lash tool innovation results in lifted, volumised and separated lashes to glamorously frame and open the eyes. Joining the Award-winning False Lash Effect boutique, the launch reflects Max Factor research that shows women desire more visible lashes, appearing wide-eyed and vibrant. The key to achieve this is in the LIFT. By lifting the lashes, the thickest part of the lash is more visible, creating a higher volume perception. Many women believe curling the lashes can achieve the same effect, but lifting and curling are not the same. Curling creates an increased curvature of the lashes whereas lifting allows the lashes to maintain their natural shape; increasing the angle between the eye and the lash base. By increasing this angle, the visible length of the lashes are maximised for an eye opening effect. LIFT: The expertly designed fins on the new helix brush catch and grip the lashes from the base where lashes are at their widest, then lift the lash upward, whilst luxuriously coating them with the Volume and Hold formula. 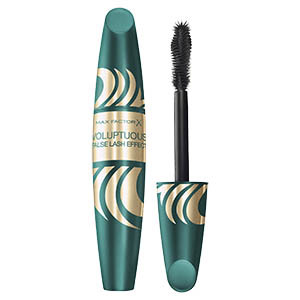 VOLUME: The Max Factor Voluptuous False Lash Effect formula contains lash plumping beads, which allow for a high level of buildability, giving the appearance of fuller, more voluptuous lashes. SEPARATION: A wide-eyed look comes from perfectly separated lashes. The dual action helix shaped Lash Uplift Brush combs lashes with the longer bristles, separating from base to tip and reaching even the hardest to capture lashes.